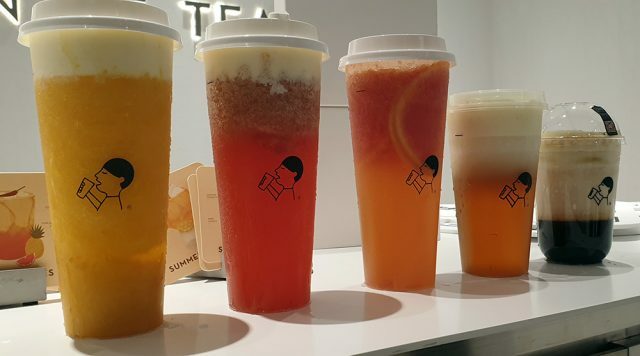 They are not the first bubble tea brand to enter the Singapore market, and they won’t be the last, but noted China cheese tea brand HeyTea is kicking things up a notch with their second outlet here, by offering six alcoholic bubble tea drinks, along with two alcoholic soft serve ice cream flavours. 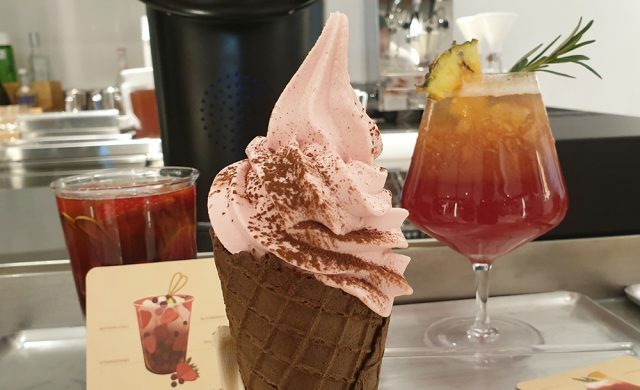 All the items currently available at its first outlet at ION Orchard will be available at the Clarke Quay outlet, but new to the menu, and exclusive only to this outlet, are two made for Singapore alcoholic bubble tea flavours, and two alcoholic soft serve ice-creams. 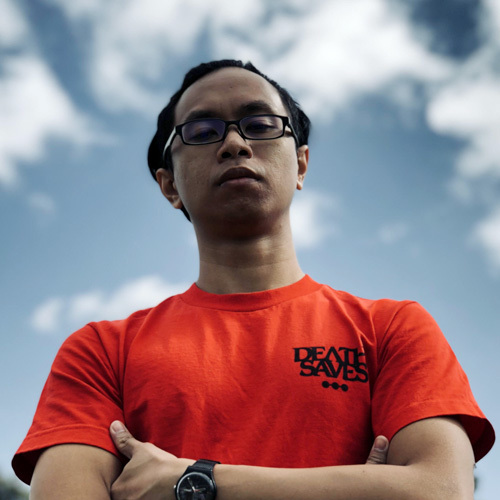 And for the first three days when it officially opens it doors on January 26, 2019, the second outlet at Clarke Quay will be offering 1-for-1 deals on all its regular drinks, and all soft-serve ice-cream, even the two new Singapore-exclusive alcoholic ones. The special Tea Geek Bar, located on the right side of the outlet is where these special concoctions are made, as the tea-ristas here whip up some pretty out-of-this-world cocktails. Each one is specially handcrafted by a specialist, and you can watch as each one gets made at the counter. Leading the selection of new ice-cream flavours is the fruity Singapore Sling (S$5.50) soft serve, served with a dash of chocolate powder on the pink ice-cream packed in a chocolate cone. 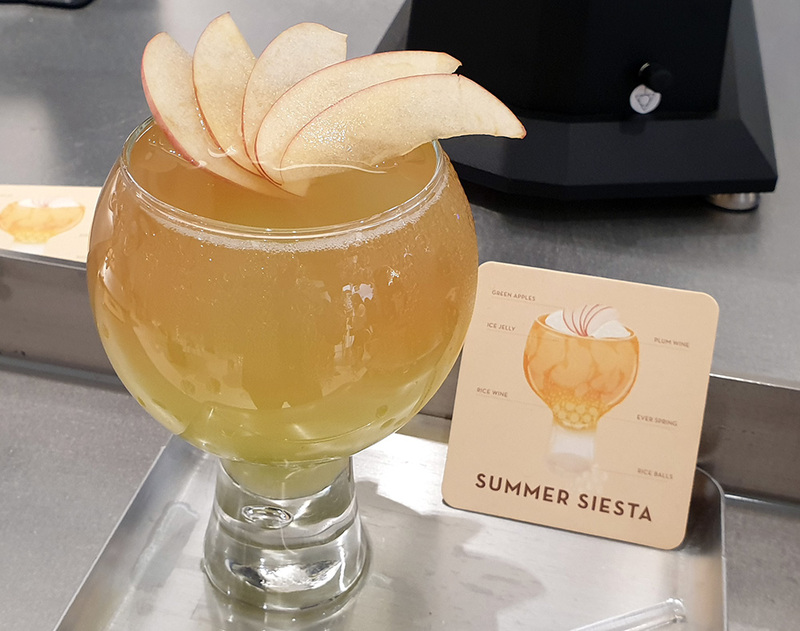 Named after the iconic local cocktail, the burst of fruity flavours easily masks the tinge of alcohol permeating across every spoonful of the tipsy dessert. But if a fruity bite isn’t your fancy, there’s the iconic mix of ice cold beer, with a little frost. 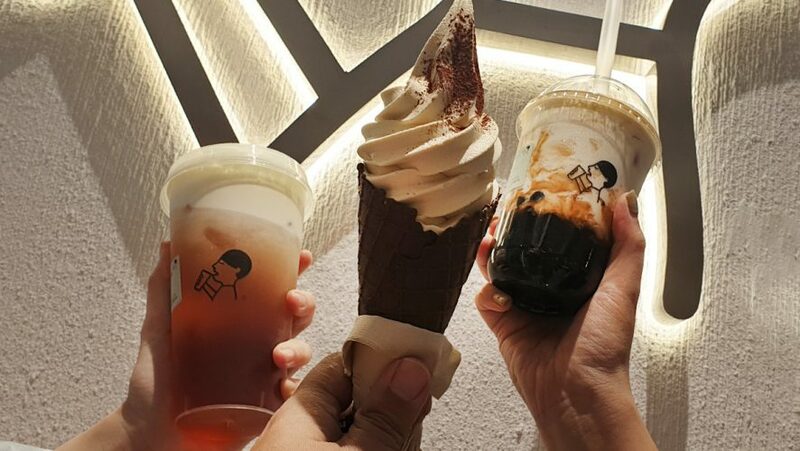 By combining King Fone oolong tea ice cream and Guinness Irish Stout, HeyTea has crafted an icy malty treat that complements the oolong flavour, to deliver a satisfying kick. Strong in flavour without being overly sweet, Guinness (S$4.50) is a smooth treat that is a gentle reminder of the beer. 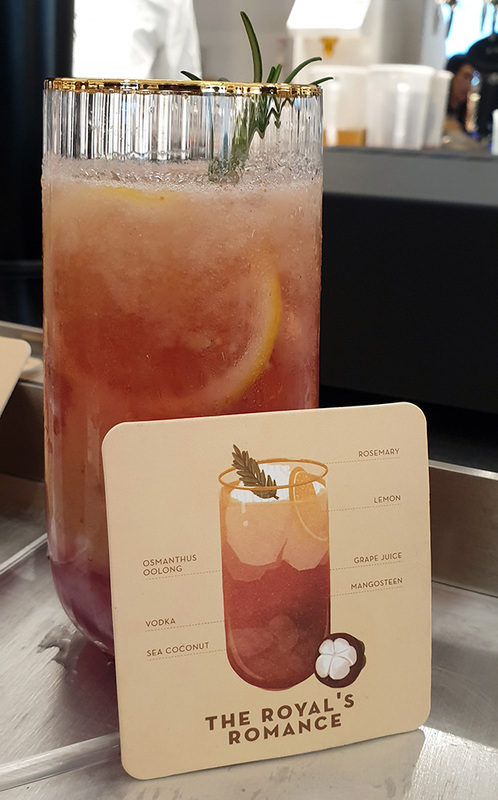 For the bubble tea with plenty of bite, the Scarlet’s Heart (S$16) is a jasmine green tea and pineapple based cocktail, with cognac. 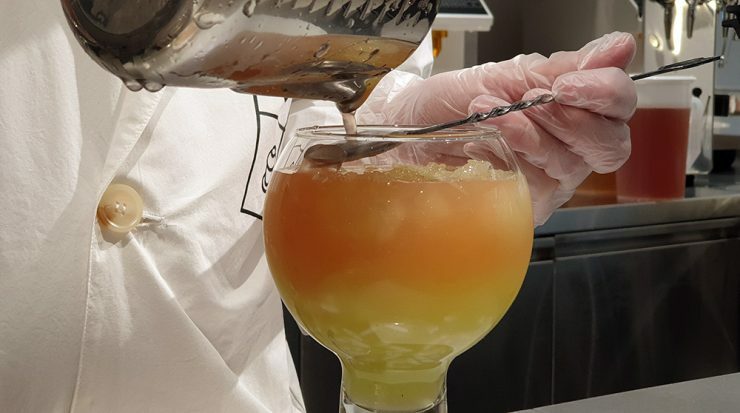 Topped with a layer of foamy egg white, the fruity mix is a refreshingly light drink that goes down smoothly. 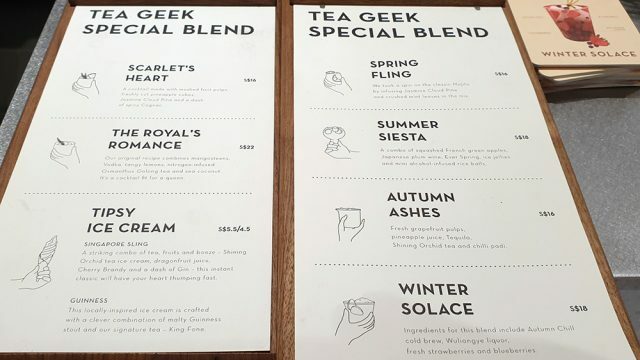 But the clear winner here is The Royal’s Romance (S$22), an osmanthus oolong and vodka mix laced with fresh lemon juice, with a generous sprinkle of sea coconut and seedless aril of mangosteen. 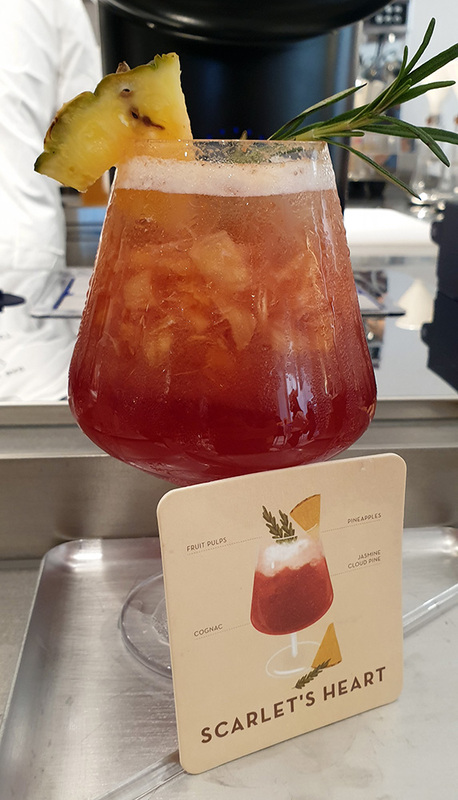 The inclusion of the queen of fruits here add an amazing sprinkle to the drink, as mashing the aril unlocks an added flavour to the drink. 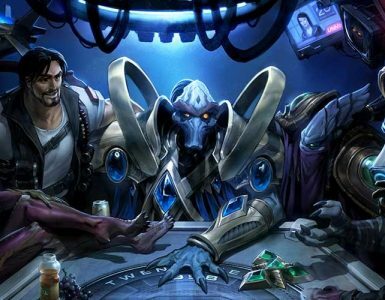 Can you get drunk simply by downing both these drinks? 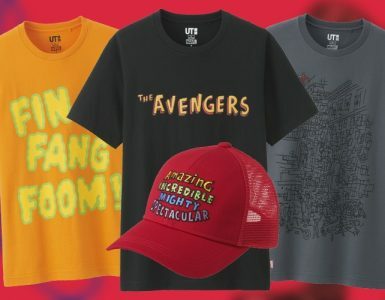 It’s unlikely, unless you chug several at once. While these bubble tea cocktails vary in volume by the glass, they each contain between 10 to 20ml of alcohol with each serving. 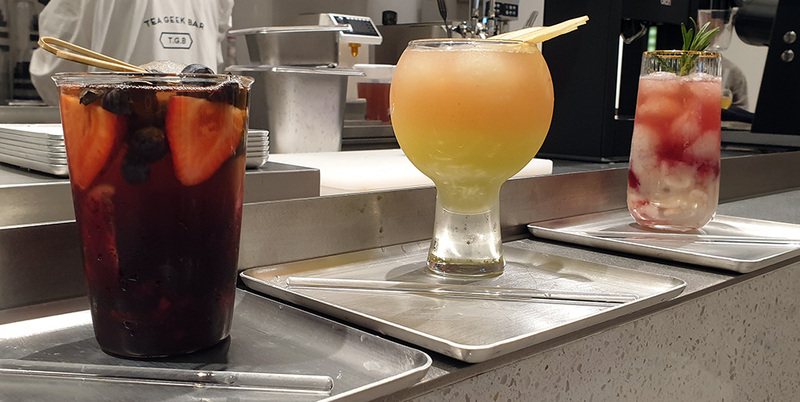 The larger volume of tea and ice means that there is less alcohol per ml of liquid, which dilutes the alcohol enough to give you a slight buzz with each sip, and that’s it. 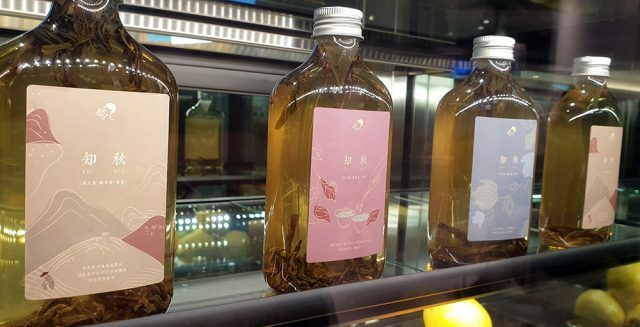 The other four alcoholic drinks available are available at the other HeyTea outlets outside of Singapore. 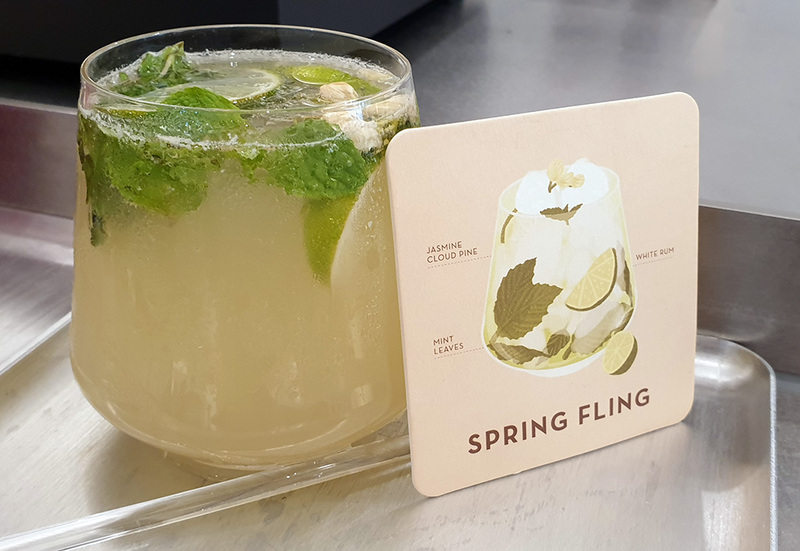 Named after each of the four seasons, the Spring Fling (S$16) is a variant of a mojito – mixing jasmine green tea with white rum, topped with smashed mint leaves. The Summer Fiesta (S$18) is a combination of sweet plum wine and Ever Spring oolong green tea, with a splash of sweet rice wine, and topped with chewy rice balls. 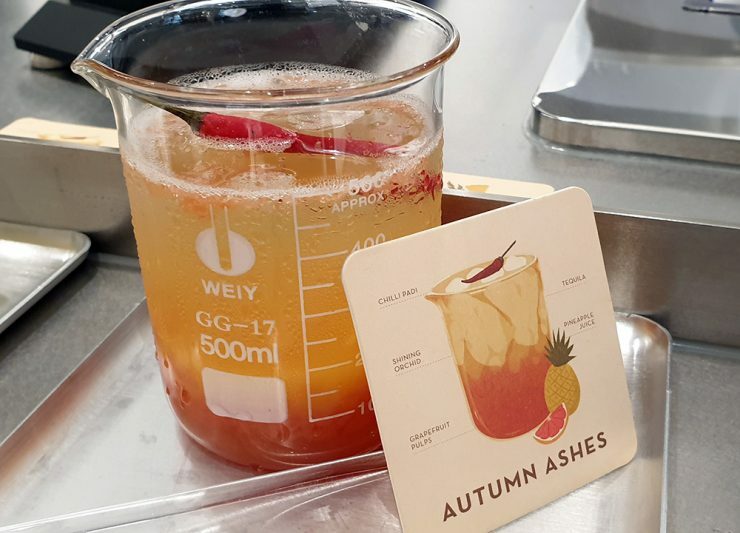 Autumn Ashes (S$16) has a rather strong kick to it, not because of the tequila mixed with pineapple juices and grapefruit pulp, but due to the addition of chilli padi into the cocktail. Of the four, this is the most divisive drink, as the bitter tequila and spice from the chilli isn’t for everyone. 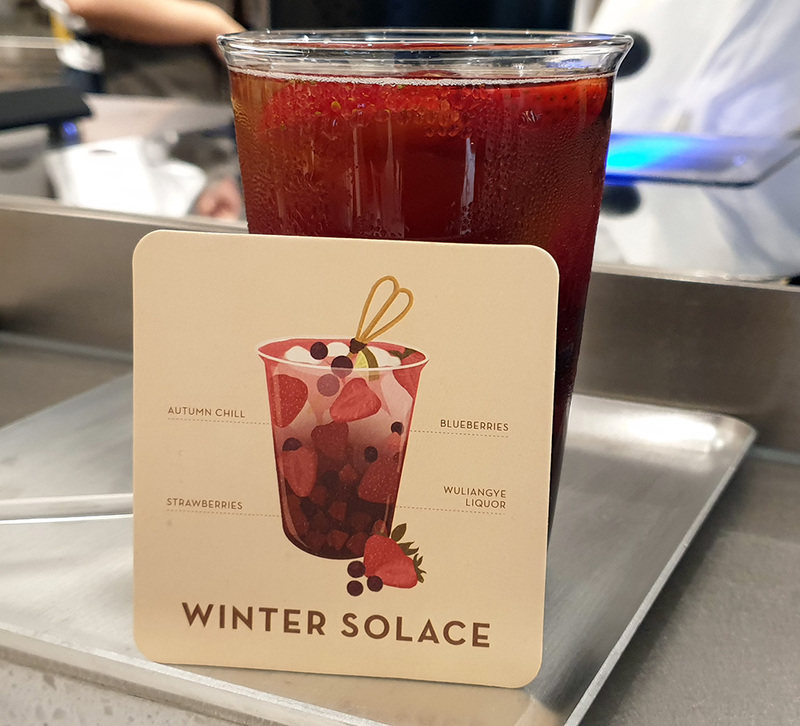 Rounding up the alcoholic selection is the Winter Solace (S$18). Made from Wuliangye, aka Five Grains Liquid, a type of Chinese baijiu (white alcohol) made from proso millet, maize, glutinous rice, long-grain rice, and wheat grains, the sweetness of the wine is balanced with the sourness of strawberries and blueberries added into the drink. 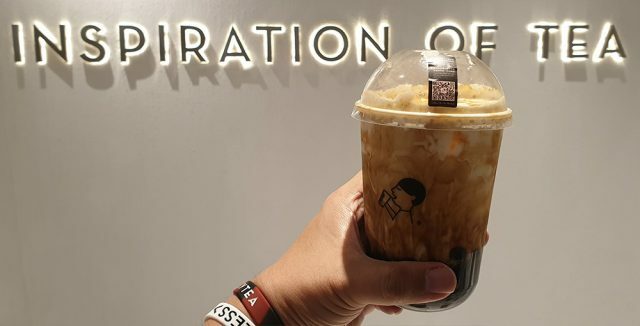 But in case you’re under 18, and want something more bubble and less bubbly, go for the Bobo selection, the aptly named brown sugar boba series. 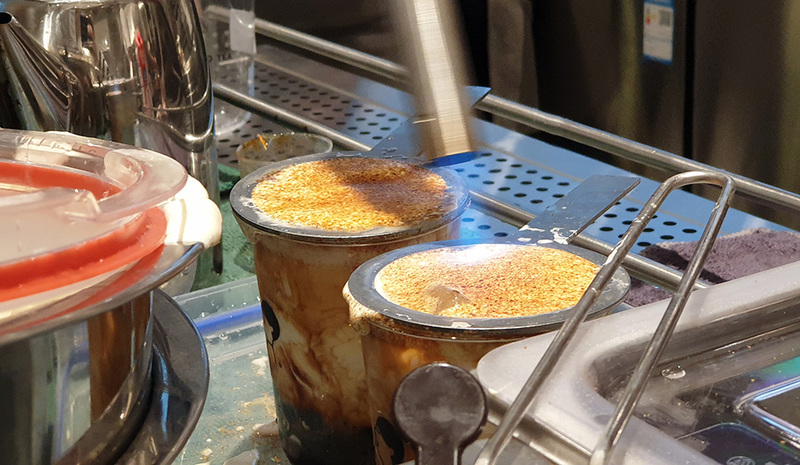 There’s an option of milk or matcha tea, and you can choose from Brulee or Orea, or the Duo, which is the best of both worlds. The black pearls here are extremely soft and chewy, with a thoroughly cooked through core. The brown sugar has an intense fragrance to it, which works well with the Meiji full cream milk. 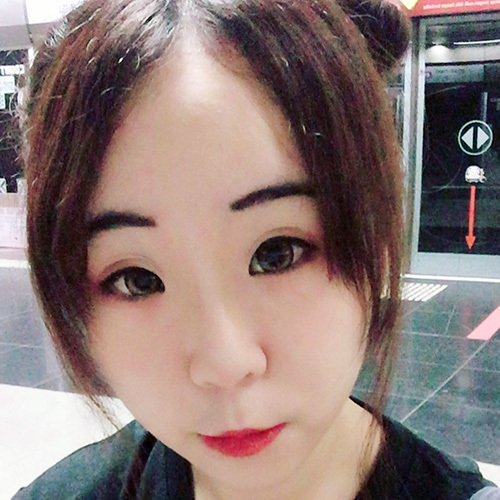 Be careful of the matcha option though, as the creamy and thick matcha mixed with the dense brown sugar is basically a takeaway dessert that is better eaten with a spoon, not a straw. Opening Hours: 12pm to 1am daily.